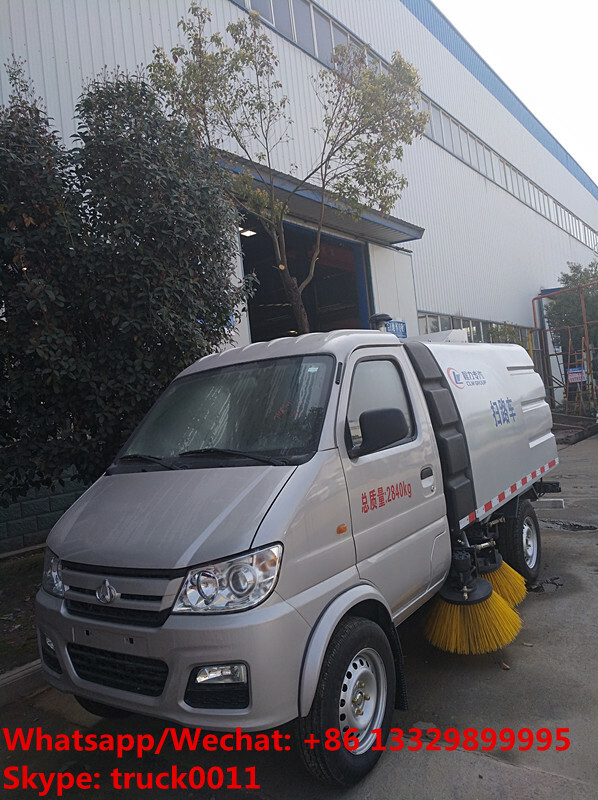 7,the road sweeper adopts advanced and efficient dedicated fan and fully floating nozzle which can automatically level with the road surface. It has good cleaning effect and long service life. 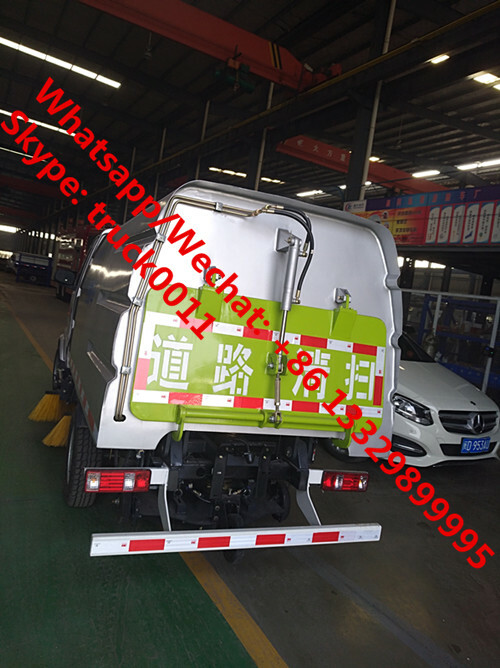 If you're interested in our road sweeping vehicle, please kindly send email to szhj9999@163.com or talk to Anita by Whatsapp/Wechat: +86 13329899995. 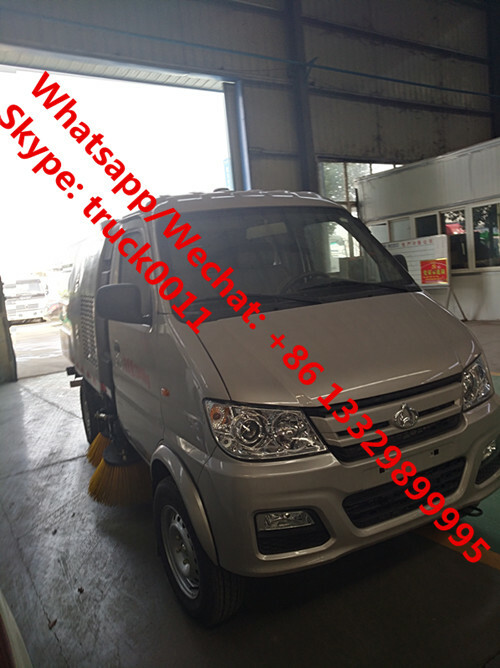 The specification of Chang’an brand 4*2 mini road sweeping vehicle manufactured by Chengli Special Automobile Co., Ltd. as below. The standard devices of Chang’an road sweeper truck: 4 sets road sweeping brushes, yangdong 39hp diesel auxiliary engine, SANYA motor, Schneider control switch, Haipusiisi solenoid valve group, stepless speed automatic clutch, maintenance-free centrifugal automatic fan, stainless steel garbage bin, Zhonglian Polaris electronic water pump, tail LED arrow indicator, manual pump emergency system, wastes lifting and unloading function . 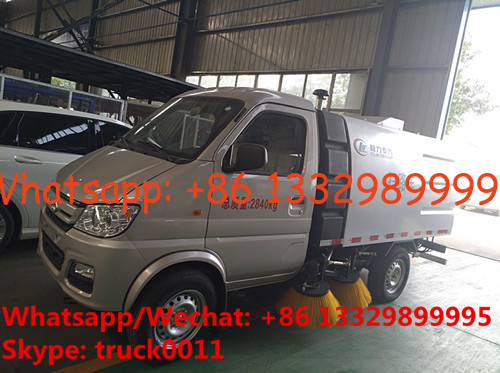 More pictures of HOT SALE cheapest price mini gasoline street sweeping vehicle manufactured by Chengli Special Automobile Co., Ltd. as below.